Hubby Jenkins is a talented multi-instrumentalist who endeavors to share his love and knowledge of old-time American music. Born and raised in Brooklyn he delved into his Southern roots, following the thread of African American history that wove itself through country blues, ragtime, fiddle and banjo, and traditional jazz. 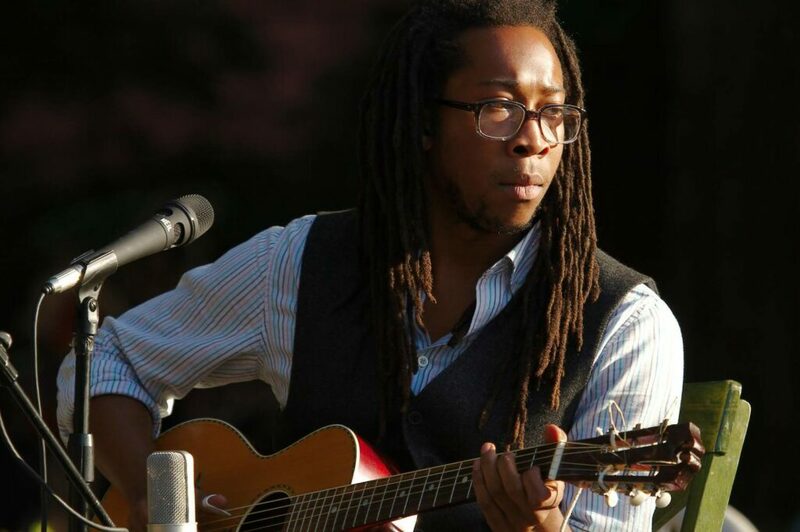 After years of busking and performing at many venues around NYC, Hubby began touring with Carolina Chocolate Drops. As an integral part of the band he has been nominated for both a Grammy and Americana award, performed on Letterman and Jools Holland Show, as well as toured around the US and Europe. KNYO and Roots & All Live! are proud to sponsor this performance as a KNYO benefit event. Refreshments will be available. https://www.brownpapertickets.com/event/4032554 and Harvest Market in Fort Bragg.